Home » News » Blues L.T.O. SKY BET CHAMPIONSHIP Saturday August 8th 2015 at 3.00pm. Birmingham City 2 v 1 Reading. 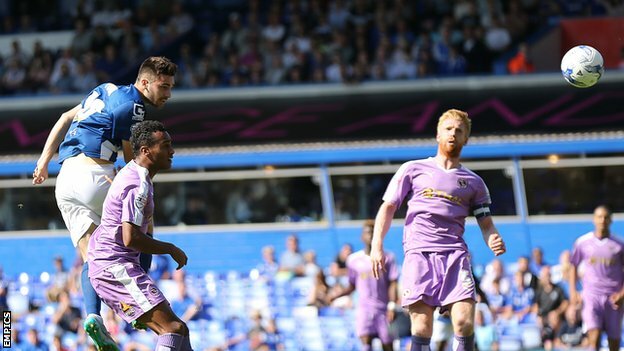 Birmingham City debutant Jon Toral rises to head the Blues winning second goal in the opening day victory against Reading at St. Andrew’s. Reading Team : Bond, Gunter, McShane, Hector, Obita, Blackman (Robson-Kanu 79), Tshibola (Samuel 86), Norwood, Quinn (Cox 83), Williams, Orlando Sa. Subs not used: Ferdinand, Taylor, Al Habsi, Taylor. 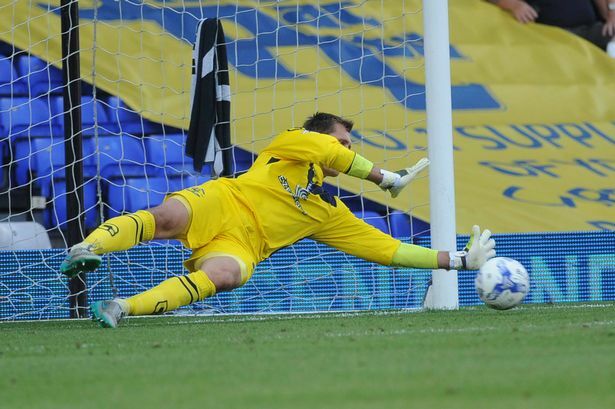 Birmingham City Keeper Tomasz Kuszczak saves a last minute penalty against Reading at St Andrews on Saturday 8th August 2015. Birmingham Scorers:- David Cotterill (40), and Jon Toral (47). Reading Goal Scorer:- Nick Blackman (58).